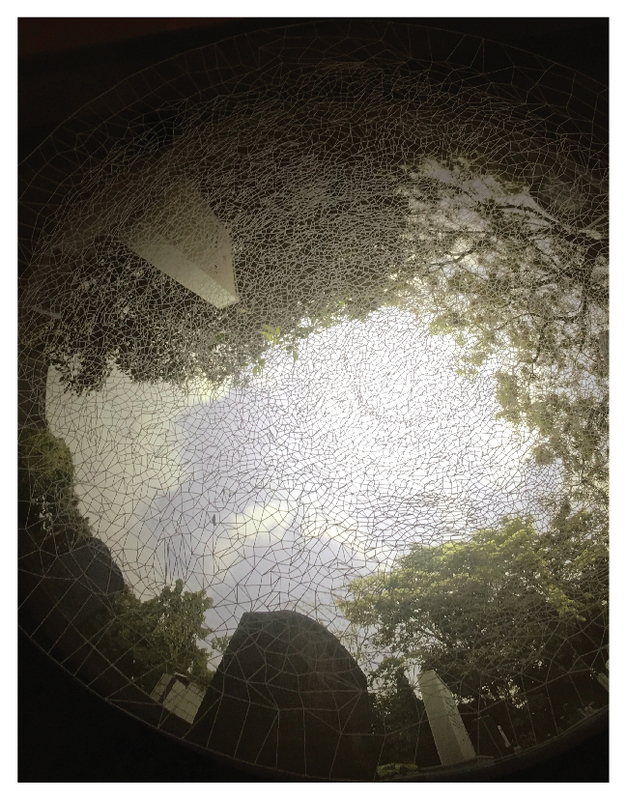 In an attempt to capture the remnants of death through the spaces it resides in, the artist lay down amongst tombstones in the Jewish cemetery, to capture the world around her. While technically she looked up at the sky, the lens bent the world around her allowing the tombstones to peek in. Over this image she places a tessellated mesh of the three-dimensional form of her skull, unraveled and unwrapped to be laid flat on a two dimensional surface. Juxtaposing the two with an invisible curtain of air between them.